A person’s home is more than just a place to sleep and store personal belongings. It’s a representation of who they are, an extension of what they represent in this world and a tangible example of their place in society. And because of this, a person’s home must be created with a level of care and consideration that acknowledges the dignity that is owed to every individual. Corobrik fully understands the intrinsic connection between quality products and the respect for human dignity, which is why the demand for its face brick range continues to soar in the affordable housing sector. And anyone who has been a recipient of one of Corobrik’s generously donated affordable homes can attest to this. Working closely with government departments and leaders within rural communities, Corobrik is committed to fulfilling the Constitutional mandate that outlines that every citizen has a right to adequate housing. · 2.37 million Corobrik Moroccan Red Travertine face bricks for Platinum Manor, a Central Development Projects affordable housing scheme in Pretoria. · A range of Corobrik products – 3.8m Burnt Apricot face bricks, 200 000 Montana Travertine face bricks, 3.9m plaster bricks, 10 000 geolok 400, 10 000 geolok 300 and 2 000m2 of pavers - were used in the construction of one of South Africa’s biggest social housing developments, Aloe Ridge in Pietermaritzburg, developed by non-profit organisation, Msunduzi Housing Association. · 1.2m Moroccan Red Travertine face bricks and 1.8m of Corobrik’s Nebraska Travertine face bricks were used in the construction of The Junction @ Forest Hill, Pretoria, a 440-unit affordable housing development by Central Developments. · Another Central Developments project saw 3.3m Nebraska Travertine face bricks and 1.7m Classic Satin face bricks used in the construction of Eldoraigne Retirement Village, Pretoria. 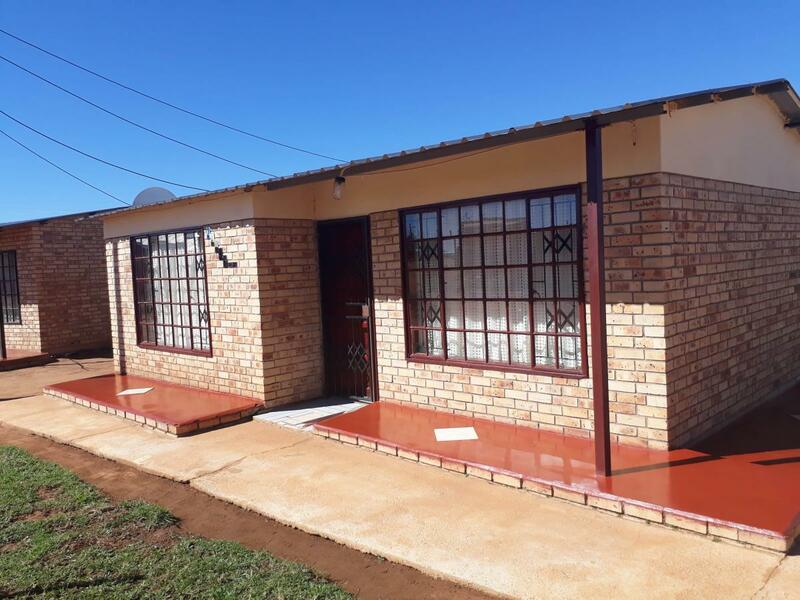 Shangase said the organisation was committed to consistently adding value to the affordable housing and entry-level housing markets where there was little disposable income for maintenance. The CoroJem is essentially twice the width of a standard brick and laid as a single skin. This means it offers a solution that is applicable across a wide spectrum, from low-cost subsidised housing (at 40sq/m) to gap housing (80 sq/m) and the affordable housing (80 sq/m) arenas. CoroJem, along with all Corobrik’s face bricks, is associated with many beneficial qualities that are perfectly suited to the affordable housing market, the first of which is the cost-saving attributes. CoroJem and other Corobrik face bricks are extremely cost-effective as they don’t need to be plastered or painted. This saves on future maintenance costs, particularly important in the affordable housing market. Face brick also has incredible thermal efficiency which enables the building to store heat and remain cooler for longer than lightweight structures. It deals efficiently with extremes of temperature in both summer and winter so that, regardless of how hot it becomes outside in the daytime or how much cooler it gets inside the house at night, the interior remains comfortable. In a country like South Africa, with such extreme climates, this insulation is incredibly beneficial to occupants who can’t necessarily afford artificial heating or cooling systems. The nature of affordable housing developments often necessitates the construction of homes in relatively close proximity. Face brick further proves its worth, under these conditions, in two regards. Firstly, the material density provides a natural sound barrier which facilitates quiet indoor environments, offering a form of sound insulation. Secondly, face brick also has incredible fire-resistant properties which assist in preventing the spread of fires and minimising any damage as a result. Air quality, for residents, is ensured as the mineral properties of the clay prevent the release of volatile organic compounds which are known to impinge on indoor air quality. They also facilitate the absorption and release of moisture from the air to help keep humidity within a 40 to 60 percent level for healthy living. This, again, promotes comfort and also serves to protect household valuables. The durable nature of face bricks allows for the construction of solid homes that promise homeowners longevity. This, once again, saves on costs associated with maintenance or re-building of homes, pertinent in a sector where savings are very meaningful. Because of these qualities, clay brick construction is increasingly being recognised as a vital component of green building in the quest to find solutions that eliminate or meaningfully reduce adverse impacts of development on the environment and its occupants. Corobrik continues to uplift the lives of those in disadvantaged communities by empowering individuals through its extensive training programmes. The organisation has three training centres namely Lawley Centre in Gauteng, Avoca Factory in KwaZulu-Natal and Lansdown Centre in the Western Cape. The three centres, which are not-for-profit, are solely focused on upskilling South African citizens through an extensive training programme. The instructors – all of whom are qualified artisans and assessors accredited with a Construction CETA - provide theoretical training in class, with participants then given real-world experience with some on-site practical experience. On successful completion of the training programme, candidates receive a certification, empowering them with the skills to secure employment in the construction field or even start their own businesses. · The four-day intensive training of 21 SANparks employees at Lansdowne Centre in paving, grouting and the construction of flower boxes and benches. · A nine-week bricklayer course for 12 Swellendam community members, sponsored by the Swellendam Tourism Economic Empowerment Partnership. · A 10-month bricklayer training course for 30 Western Cape residents sponsored by the Department of Public Works. · On-site assistance on various construction projects in Gauteng & Mpumalanga. · A three-week course for the members o the community in Glencoe and Dundee area. “Corobrik will continue to play an important role in the building of the South African nation, offering high quality products for the creation of sustainable, appealing buildings that citizens are proud to call ‘home’,” concluded Shangase.